Baker County is a county located in the U.S. state of Florida. As of 2000, the population was 22,259. Its county seat is Macclenny, Florida. While primarily rural, the county is included in the Jacksonville Metropolitan Area. 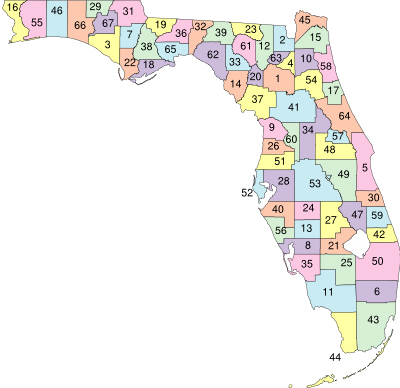 Click on the county you are interested in to view their profile page on County Florida.